Does Milk in Tea Block Antioxidants? Samurai Chai Mate tea is a blend produced by Teavana. 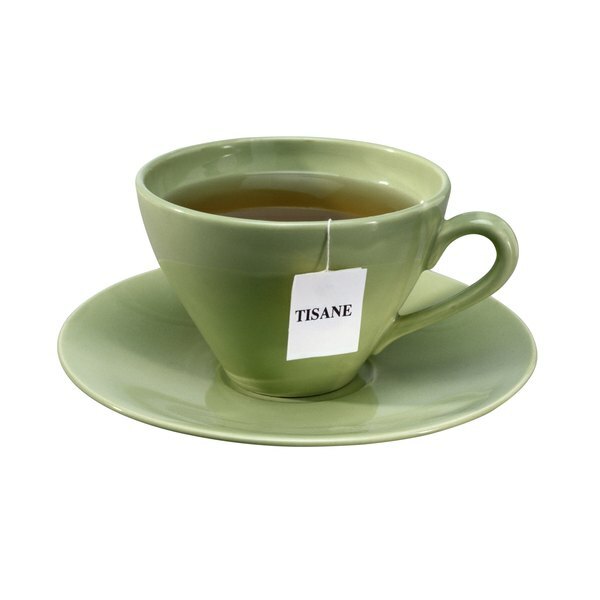 Combining green mate tea with a variety of spices and dried fruits, this tea has a spicy yet citrusy scent and taste. The tea can be consumed on its own or mixed with milk and sugar to create a more traditional chai tea drink. One serving of Samurai Chai Mate is reported to have 0 Calories, according to the nutrition facts provided by livestrong.com. When Samurai Chai Mate tea is made according to Teavana’s instructions -- steeping 1.5 to 2 teaspoons of leaves in 8 ounces of water for five minutes -- a single serving contains less than 15 milligrams of caffeine per cup. This puts it at the low end of caffeine content in teas, which average 14 to 60 milligrams per cup. The caffeine content depends on the amount of tea used and the brewing time, and Samurai Chai Mate that is made stronger than the basic recipe will contain more caffeine. While caffeine is safe in moderation, it can lead to increased anxiety, insomnia, depression, restlessness, tremors and more frequent urination if you consume too much. MedlinePlus recommends limiting yourself to no more than five servings of caffeinated teas, including Samurai Chai Mate, per day. Samurai Chai Mate is based on a blend of yerba meta teas. These teas originate in South America, where they are made from the dried leaves and stems of the yerba mate plant. Yerba mate also contains phenolic compounds -- antioxidants similar to those found in green tea. A 2005 issue of “American Journal of Clinical Nutrition” included a survey study of research on polyphenols over a period of 10 years. Scientists concluded that polyphenols were strong antioxidants, protecting your body from damage from free radicals and environmental toxins. As well, polyphenols could potentially prevent the onset of degenerative diseases, including heart disease and some cancers. While you can drink Samurai Chai Mate tea simply on its own, chai teas are commonly brewed in milk and contain added sugar to provide creaminess and sweetness. A 1-cup serving of 1 percent milk has 102 calories, over 8 grams of protein and 2 grams of total fat. It is also a good source of calcium, containing 305 milligrams per serving. In addition, 1 percent milk supplies several essential vitamins, namely vitamins A, D and K. Milk can affect tea's natural antioxidant capacity, as documented in a 2010 issue of "Nutrition Research." Scientists found that adding whole, semiskimmed or skimmed milk to black tea in even small quantities lowered the total antioxidant content of the tea. Because mate tea boasts a similar antioxidant profile, milk might have the same effect. The American Heart Association recommends limiting your sugar intake to no more than 6 teaspoons for women and 9 teaspoons for men each day, capping the allowable calorie content at 100 and 150 calories, respectively. If you do decide to add sugar to your Samurai Chai Mate tea, do so sparingly as even just 1 teaspoon will make up a significant portion of your daily allowance. Even though honey seems like it may be a healthier sweetener because it is less refined than white sugar, it is still an added sugar. If you like your tea sweetened, consider using stevia, which is a natural calorie-free sweetener. This way, you can get the sweet taste without the danger of added calories.